Philadelphia Brain Injury Lawyer - The Pearce Law Firm, P.C. Traumatic brain injury is one of the most difficult kinds of severe injuries for the patient and his or her family to deal with. Unlike injuries that can be seen and will heal over time, a brain injury is invisible. Sometimes the brain injury is obvious. However, often the person may look fine and look the same as before, but they are not the same . . . and this is confusing, upsetting and life altering for the brain injury patient and his or her family and friends. That is why you should choose one of the smartest and most compassionate lawyers to handle your brain injury case. A highly sought after and nationally recognized trial lawyer, Edith Pearce is the founder of The Pearce Law Firm. The Pearce Law Firm has achieved multi-million dollar settlements for victims of brain and head injuries. A member of MENSA, the high IQ Society, Edith Pearce is not afraid to take on the most difficult and complex brain injury cases. Most importantly, we provide compassionate and personal attention to you and your family. Unlike the huge firms with dozens of attorneys and many different attorneys handling different aspects of your case, Philadelphia Brain Injury Lawyer Edith Pearce is personally involved in every case the firm handles from start to finish. She genuinely cares about her clients and you will not be treated like just another case or file. When the brain is injured, the mental and emotional functioning of the person is affected and so are the personality, memory, language ability, and other less tangible qualities that make each person who they are. The effects of a brain injury are often devastating to the victim’s relationships, occupation, income, school performance, and overall quality of life. Even so-called “mild” brain injuries can affect functioning, and create terrible hardships in a variety of ways. Philadelphia brain injury lawyers at The Pearce Law Firm have represented a number of different types of cases with various forms of brain injuries. Brain injuries come in many forms – all of which are serious. An open head injury is a visible assault to the head. This type of injury is more likely to damage a specific area of the brain. A closed head injury means the damage has not punctured the skull. In this type of injury, the patient usually receives damage or bruising to many parts of the brain. This is called diffuse damage. There may be a period of unconsciousness immediately following the trauma. Coma is a brain injury that results in prolonged unconsciousness. Mild brain injury may occur with no loss of consciousness and possibly only a dazed feeling or confused state. People with so-called mild brain injury may experience symptoms and impairments similar to those suffered by the survivor of a coma brain injury. Other symptoms can include chronic headaches, significant forgetfulness or inability to perform simple tasks. A head injury or brain injury is a crisis that requires expert legal advice. It’s important to seek out a brain injury attorney who understands the nature of brain injuries and can be not only sensitive to the victim and the victim’s family, but can work aggressively to protect your legal rights and obtain maximum compensation for this devastating trauma. It is important that your Philadelphia brain injury lawyer has the experience and expertise to handle a brain injury case. The Pearce Law Firm has achieved multi-million dollar settlements for victims and their families who have suffered brain injuries in some of the most complex personal injury cases. Unlike other lawyers and law firms, The Pearce Law Firm has a competitive edge in obtaining large settlements before trial due to decades of experience working for insurance companies and defense firms, before representing personal injury victims in Philadelphia. We have inside knowledge of how the other side works, and we know the “tricks of the trade” to get you and your family the maximum settlement. However, we also are not afraid to go to trial if we cannot achieve a good settlement. If your case goes to trial, you will know you have one of the smartest Philadelphia brain injury lawyers in the courtroom, with Edith Pearce (a member of MENSA) personally trying all brain injury cases. We offer our clients the personal attention and individualized representation needed to achieve the highest results possible. 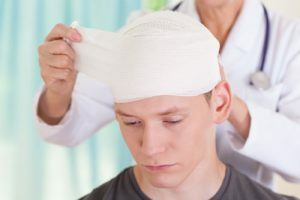 If you or someone you love has suffered a traumatic head injury in Philadelphia or anywhere in Pennsylvania and New Jersey, you may be in need of a Philadelphia brain injury lawyer. The Pearce Law Firm will work diligently on your behalf to arrive at a timely settlement or proceed to trial to obtain the compensation you deserve. We will do everything within our power to help you through this traumatic time and create as much ease as possible for the rest of your life. Call us today for a FREE BRAIN INJURY CONSULTATION, or send us an instant e-mail. If you or someone you love has suffered a traumatic head or brain injury in Philadelphia or anywhere in Pennsylvania or New Jersey, call us today for a FREE BRAIN INJURY CONSULTATION, or send us an instant e-mail.